When looking at the world of SaaS-based infrastructure services, Google Apps is one of the fastest growing offerings. Google Apps accounts now are implemented over Microsoft Exchange and the Microsoft Office productivity suite is being traded for Google Docs, Sheets, Calendar, Hangouts, and more. This has led to a heightened state of stress for IT admins, as securing and managing users within this SaaS infrastructure is proving difficult. By itself, Google Apps does not function as a directory like Microsoft Active Directory. As a result, IT admins are forced to either manually manage user access or implement Active Directory. When IT admins choose to use Google Apps and Active Directory they are basically negating the benefits of using the cloud. The method of being half in the cloud and half on-prem is extremely inefficient and creates massive security risks. The solution to the above problem lies within the emergence of Directory-as-a-Service®. With JumpCloud’s cloud hosted directory service, Google Apps is integrated to form a unified cloud directory solution. When synchronized with DaaS, users can be provisioned, deprovisioned, and updated, while being tightly integrated with GApps. 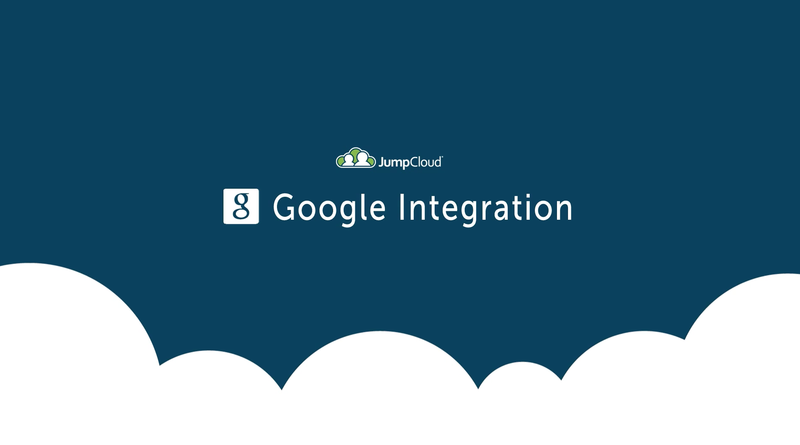 Any changes made in JumpCloud® are immediately propagated to Google Apps. If an organization already implements GApps their users can be imported quickly and hassle free. When these identities are created, IT admins can then assign and control access to the devices, apps, and networks that users require. The singular Google Apps identity can then be used across the entire IT infrastructure. With JumpCloud and Google Apps, there is no need for an organization to continue to operate in any way on-prem (outside of their network connection and WiFi). The benefits of a SaaS-based solution are immense. Reduced management/maintenance, the ability to grow swiftly, and pay-as-a-you go models are all gifted to IT admins. Together, JumpCloud and Google Apps forever alters the equation for core services like email, productivity apps, and directory services. Instead of outdated on-prem legacy software, a unified cloud directory service can be the core for an organization and IT admins. 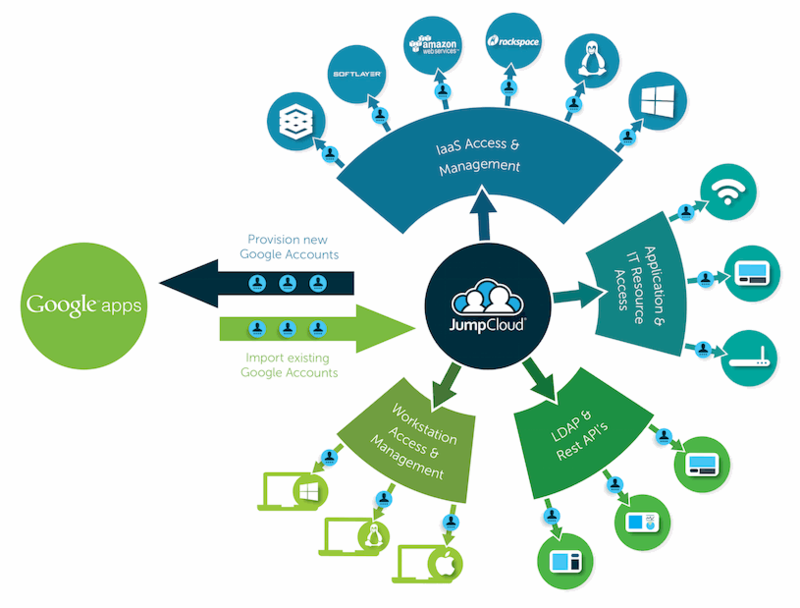 If you would like to learn more about how JumpCloud can further maximize your IT admins potential drop us a note today.